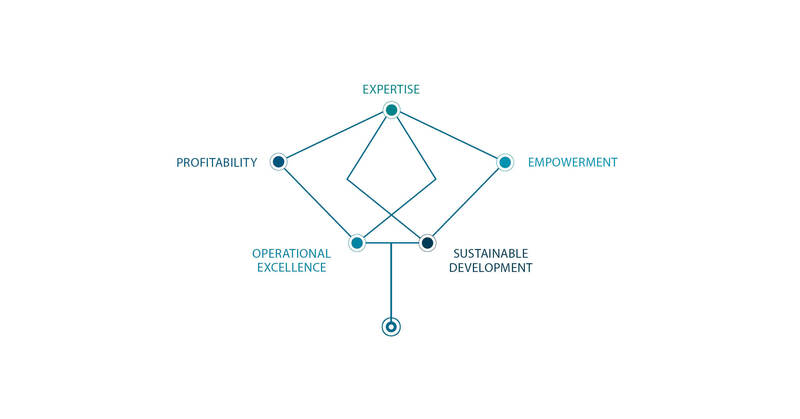 SCOR’s corporate values are at the heart of its activity. The Group is constantly striving to build a sustainable company that strikes the right balance between its own legitimate interests and those of the common good. To achieve this, SCOR aims to attract, develop and retain employees who truly share its values, while creating a workplace conducive to employee enthusiasm and commitment. A good return for our shareholders is at the core of our strategy. We are accountable for our actions and do what we say we will. We conduct our business in a consistent and transparent way by setting clear goals and defining professional standards, which establish our credibility. We are committed to delivering the very best quality to our clients in terms of our products and services and we act with absolute integrity, which enables us to develop our business in an environment based on trust. We are constantly improving our know-how and encourage innovation, with a view to providing our clients with high added value solutions. Our relationship with employees is based on loyalty and partnership. We are dedicated to equal opportunities, we value diversity, and we aim to promote and reward team spirit. Respect is the cement of our multicultural group. We provide our employees with the opportunity to achieve their goals by exalting professionalism and promoting professional education. We believe in the strength of the markets based on the principle of fair competition, and we do our utmost to base our leading position on an innovative corporate culture centered on our knowledge. This strategy enables us to encourage open-mindedness, to increase our flexibility and to provide consistent solutions in order to anticipate the challenges of the future. We are conscious of our societal responsibility towards local communities and the environment. We demonstrate our openness through our involvement in public debate and academic research, thereby contributing to the knowledge society. With this in mind, we promote scientific progress in order to contribute to equitable development on a long-term basis. SCOR’s mission includes protecting people and property from disasters and encouraging environmental sustainability, particularly in an era of climate change. SCOR marks a new milestone in its commitment to diversity with today’s signing of a Global Charter on Professional Equality between Women and Men.